Offering you a complete choice of products which include Heat Exchanger such as U Tube Heat Exchanger and Industrial Heat Exchanger. 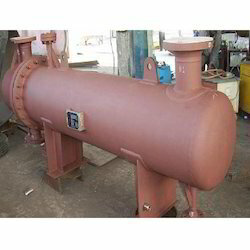 The offered range of heat exchangers is made utilizing high grade raw material. Heat Exchangers is suitably checked on different parameters to ensure that defect-free products are delivered at clients' premises. Relying on our long time expertise in this domain, we offer a wide range of Universal Heat Exchangers. Supported by its optimum performance and robust construction, our range fits to various industrial activities. For manufacturing this exchangers, our team of expert use authentic range of raw material procured from the most accredited vendors of the market. Furthermore, our products are known for their durability and relentless performance which is another reason responsible for its high demand among our respected patrons. In order to meet total client satisfaction, our company is instrumental in manufacturing and exporting Stainless Steel Heat Exchanger. Our expert procuring agents procure high grade stainless steels from authentic vendors of the market to manufacture these heat exchangers as per industrial standards. 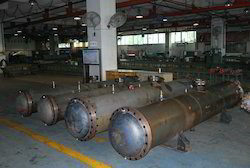 Suitable for heat transfer, these heat exchangers are widely used in diverse industrial plants. Owing to features such as easy installation, unmatched performance and greater efficiency, our Stainless Steel Heat Exchanger is popular in the market. 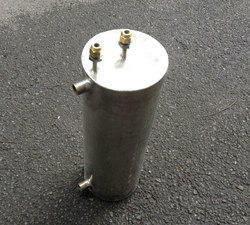 In order to cater to the diverse requirements of honorable clients, we are able to offer Heat Exchanger. The offered range of heat exchangers is made utilizing high grade raw material and highly advanced technology in strict compliance with the ASME Sect. VIII, Sect. V and Sect. IX of the Boiler and Pressure Vessel Code, TEMA, API, HEI, and 3A standards. Along with this, the offered range of heat exchangers is suitably tested on different characteristics to ensure that flawless products are delivered at customers' premises. 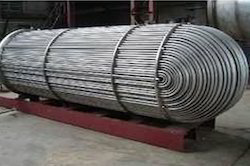 We are an eminent name, which is engaged in delivering U Tube Heat Exchanger to our clients. The offered range of U tube heat exchangers is designed & developed utilizing high grade raw material and highly modern machines in strict tandem with the industry laid norms and standards. Along with this, the offered range of U tube heat exchangers is suitably checked on different parameters to ensure that defect-free products are delivered at clients' premises. We are an eminent name, which is engaged in delivering Industrial Heat Exchanger to our clients. The offered range of industrial heat exchangers is available in varied customized designs, shapes, colors and allied specifications as per the diverse requirements of esteemed clients. Along with this, the offered range of industrial heat exchangers is suitably checked on different characteristics to maintain its authenticity throughout the manufacturing process.